Welcome to “How To Do a Glowy Makeup Look 101”. Your professor today will be celebrity makeup artist, Min Min Ma. Earlier this week, we sat down with celebrity makeup artist, Min Min Ma (who’s worked with Meghan Markle and Hailee Steinfeld, to name a few), to do an exclusive Facebook/Instagram Live tutorial for an easy daytime nontouring makeup look. We had a great time hearing your real-time feedback. Scroll down to read a recap of her tutorial and get her exclusive tips for a dewy everyday look. Min Min stresses the importance of making sure that your skin is cleansed properly before applying makeup. Even better, you want to make sure your skin is exfoliated so your skin is smooth and can better receive foundation. She loves using the Son & Park Beauty Water to prep skin for flawless foundation application. 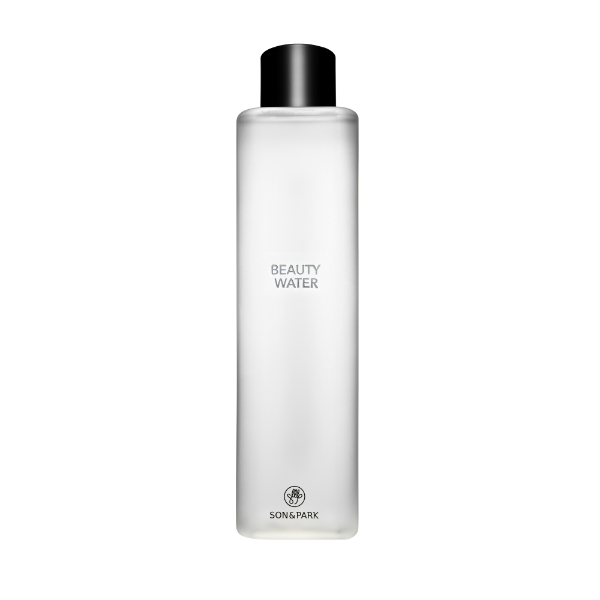 This cleansing water uses willow bark and papaya extract to gently exfoliate and sweep away dead skin cells for brighter and smoother skin. Simple soak a cotton pad with the water and sweep all over face before makeup application. Give yourself a facial massage using the Iconolab Renewal Face Oil. Focus the oil on your cheeks and then your forehead. Pro-Tip: Use your fingertips. They blend better, are more hygienic, and let you grab less product. Using your fingers, blend the lighter shade in the Hanskin Nontouring Gradation Pack, into the skin. Start in your T-zone because that’s where the most unevenness and discoloration are and move outwards to cheeks. After that, touch up any specific problem areas. Go in with a brush for concealer to cover up any additional problem areas. Use the brush to place the concealer and then blend out with your fingertips. Don’t forget concealer on the tops of your eyelids. This is ideal for a glowy look! (But if you’re going for a smoky eye, the shadow on your eyes can actually help). Pro-Tip: Use concealer after foundation. Foundation can be used to take care of most of the discoloration. Follow up with concealer because the consistency and texture of concealer is a little bit thicker; it’s not ideal for all-over use. Skim a little product off the darker shade of the Hanskin Nontouring Pact and place it in a V-shape under the cheekbone in the hollow cheekbone area, up the forehead, and along the jawline then blend, blend, blend! If you want, you can also add additional bronzer along the side of the bridge of the nose. Build up bronzer by dabbing on product and blending out repeatedly. You can use the powder puff that comes with the pack to blend outwards. Follow up by going in and correcting any areas that might be too dark with the lighter shade. Pro-tip: Use natural daylight, if you can! Use the Son & Park Beauty Filter Cream Glow as a highlighter. 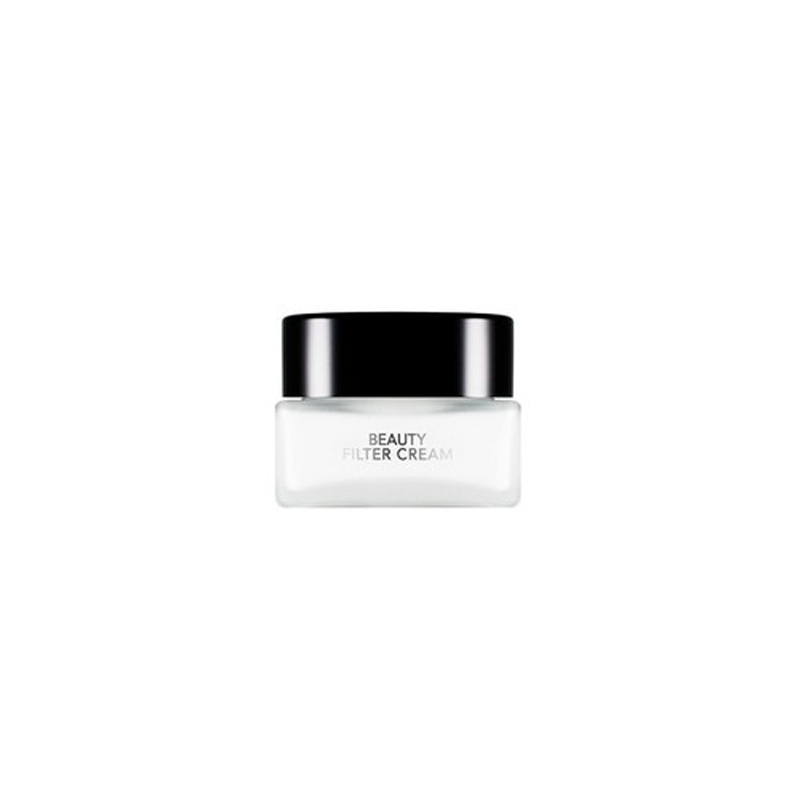 It has an iridescent quality and is a super subtle moisturizer that you can use all over the face under a foundation, if you prefer. Skin care is very personal, so the final look can be whatever you want it to be! Don’t forget the eyelids! Start with a lip balm. 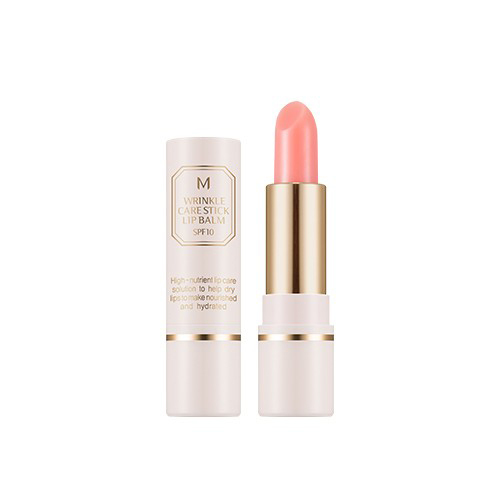 We used the Missha Wrinkle Care Stick Lip Balm with SPF 10. Then go in with your favorite lipstick. We used YSL Rouge Pur Couture Lipstick in shade 215. Apply the product to the center of the lips and then smudge out with your finger tips. Pro-tip: Using a lip balm under a matte lipstick makes the color look creamier and more subtle for a daytime look. But if you wanted to change this look up for nighttime, add additional lip color and you’re done! Step 7: Curl lashes and add mascara! For a more complete look, add an light eyeshadow. We added the Laura Mercier Baked Eye Color in Petal Pink. Pro-tip: Use a good eyelash curler! We used the Japonesque Eyelash Curler and Lancome Grandiose Mascara. If you have short lashes, opt for the Laura Mercier Volumizing Mascara. +What are your best tips for how to do a glowy makeup look? Let us know in the comments below!